Please prepare your poster at an A0 size (33.1 x 46.8 inches or 84.1 x 118.9 cm), and Portrait orientation, thank you. The 5th Workshop on Specialty Optical Fiber and Their Applications (WSOF'2017) is a technical workshop and exhibit on advances and innovations in the field of specialty optical fibers and their applications. Following the four previous workshops in the series, it brings together students and researchers from academia and industry, with an interest in fiber optics. The three day event will offer plenary, tutorial and invited talks, as well as contributed and poster papers. Industrial partners are invited to exhibit their latest technology and product offerings. 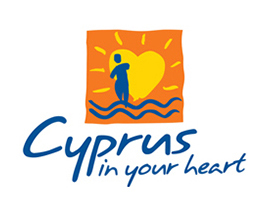 Join us in Cyprus! This workshop is intended to report on the latest advances and innovations in specialty optical fibers. Authors who have yet to register for the conference are reminded to do so by Wednesday 13th of September, 2017 (final deadline).